Finally! 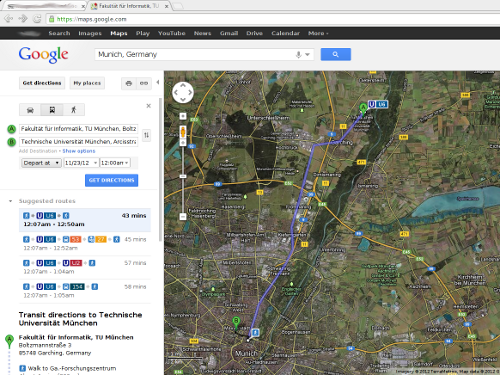 Now it is possible in Munich to look up directions and connections with public transport on Google Maps (bus connections are still missing!). According to Süddeutsche Zeitung, this took MVG (the local company responsible for operating public transport) a whole man year to finish the interface to Google Maps. This service has already been available in other cities than Munich, such as Stockholm. 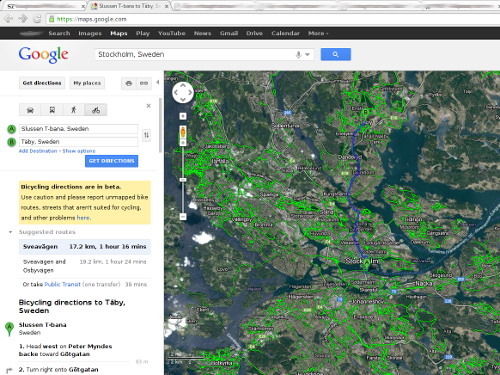 Now, while showing public transport options in Google Maps is certainly progress. What I am still waiting for, however, is to be able to get directions for bicycles.